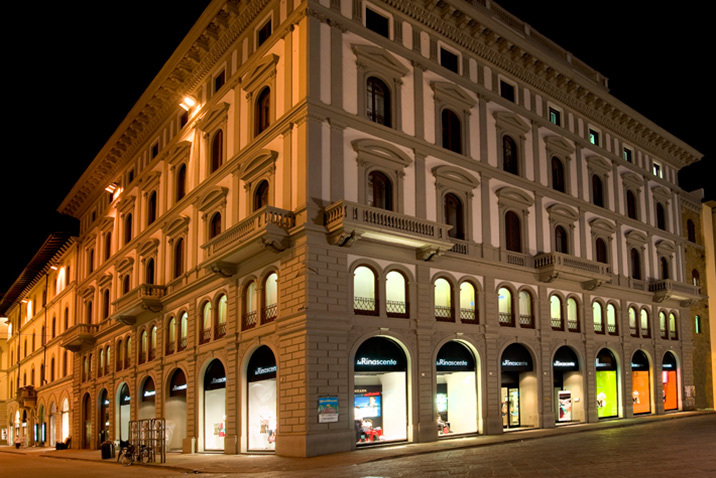 la Rinascente (derived from Rinascita – means “rebirth” in Italian) is an Italian retailer founded in Milan in 1917. La Rinascente is a chain of 11 department stores located in major Italian cities: two in Rome and one in Milan, Genoa, Turin, Florence, Palermo, Catania, Cagliari, Padova and Monza. The retail chain is known for its alliance with contemporary designers and architects. Italy’s best-known department store, la Rinascente is where Italian fashion superstar Giorgio Armani got his start as a window dresser in the early 1960’s. Its flagship department store- the most elegant and avant-garde store of the group- is in the heart of Milan, just a few steps away from the Duomo (cathedral). 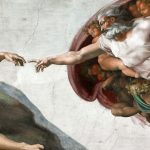 It is a popular spot for tourists visiting Italy’s fashion capital, with its designer labels such as Gucci, Valentino and Armani. It wasn’t always like this; In 2008 Department store make-over mogul , Vittorio Radice, worked his magic on la Rinascente , having returned home to his native Italy, after transforming both legendary Marks and Spencer, as well as Selfridges, in England. Now, this eight floor colossus has a contemporary, yet refined ambiance. Carrying the most prestigious brands and working with emerging talents allow shoppers to find both timeless classics and the latest high end fashion trends. 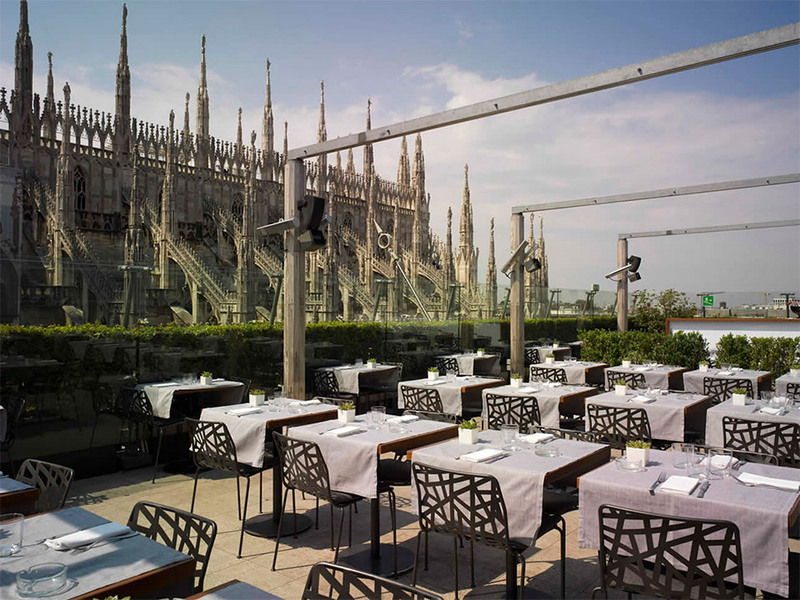 In addition to the fashion departments, are domains for lingerie, beauty, accessories and the Food Hall with its international cuisine, a food market and breathtaking views….you can sip an espresso while admiring the gargoyles on the Duomo’s roof. 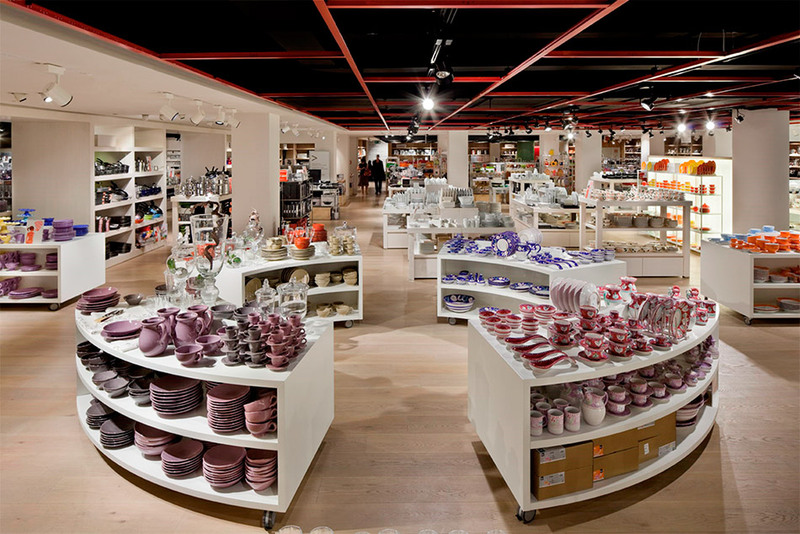 One of the hottest departments is the Design Supermarket, a floor entirely dedicated to home furnishings. The first in the chain, Design Supermarket opened in 2009 on the lower level of the Milan store. The Supermarket, a sprawling collection of designer goods ranging from paperclips to select pieces of home-ware, lighting and luggage. The Design Supermarket has an international flair and is continuously evolving: it is home to the trends and the best of creativity and innovation. Directly linked to the nearby Duomo metro station, the space houses a wide range of products from electronics to lighting, technological gadgets to office accessories and stationery, kitchen and tableware to small pieces of furniture. The business relationship between la Rinascente and Rossi goes back many years. 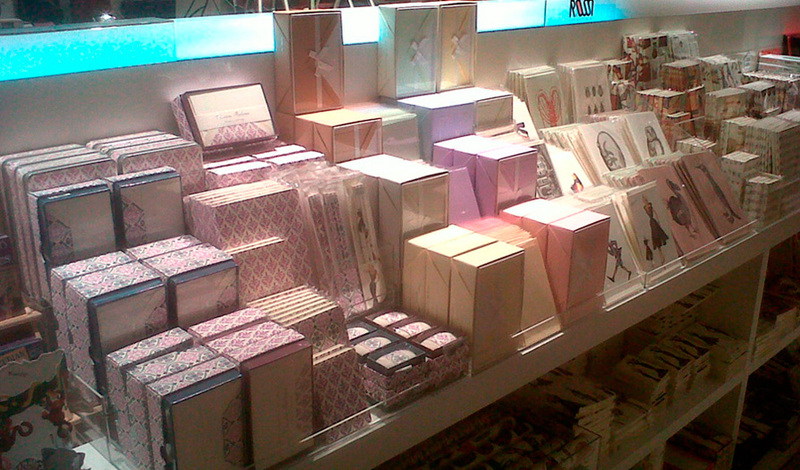 They carry a big selection of the collection, from decorative paper to stationery, notebooks, and notepads. 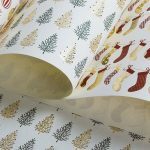 There are 3 stores in the chain that carry Rossi products in the Design Supermarket section; the first and most beautiful department is the Rinascente in Florence at piazza Della Republica. The next one is Cagliari, on the island of Sardinia and the largest and most prestigious, is Milan. Not only is this the flagship store, but certainly it’s the designer and fashion capital of Italy and a destination for foreign buyers. 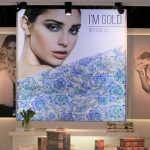 Making for great international visibility, in this, the summer of Expo2015 in Milan, Rossi has a special display and promotion chosen by la Rinascente and handled by a dedicated marketing person.